Women are breaking the glass ceiling in Saudi finance. Three top jobs in banking and financial markets have been filled by women within the last week. One of Saudi Arabia's top banks, Samba Financial Group, appointed Rania Nashar as chief executive officer on Sunday. Saudi-owned Al Arabyia TV reported Monday that another bank, Arab National Bank, has appointed Latifa Al Sabhan as its chief financial officer. The bank did not respond to a request for comment. The two banking picks follow an announcement last Thursday that the country's stock exchange would be lead by a women -- Sarah Al Suhaimi -- for the first time. Hurt by low oil prices, Saudi Arabia last year set out an ambitious diversification plan for the economy in 2030. Part of that reform is to increase women's participation in the workforce to 30% from 22%. Al Suhaimi, now chairman of the stock exchange, is also the CEO of investment bank, NCB Capital. She has held that position for almost three years, managing assets of over $20 billion. The Saudi stock exchange, or Tadawul, is the biggest in the Middle East. Its companies have a combined market capitalization of about $320 billion. Nashar has 20 years experience at Samba and worked her way up through the bank's career development program, according to a statement from Samba. Some Saudi women have taken leading roles in family businesses but they have not been as prominent in the corporate world. 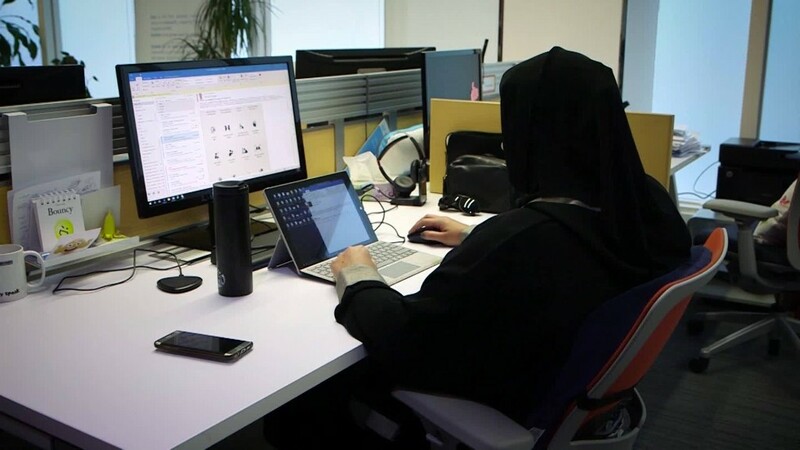 While the Saudi executives promoted in the past few days will occupy influential positions, there are still serious obstacles to women working in the kingdom. They're not allowed to drive and need permission from a male guardian to travel abroad. Saudi Prince Alwaleed bin Talal, who does not hold a government role but is a prominent global investor, wrote a blog post in December calling for the end to the driving ban. Relaxing the driving ban was not mentioned in the 2030 vision, but the kingdom's new leaders are keen to modernize the economy. That will require cultural reform. And there are signs of change underway. Just this weekend, the city of Jeddah hosted a three-day Comic Con festival for the first time. It attracted many young men and women under one tent -- a significant shift in a country where gender segregation is imposed in many public spaces.